In a new arrangement between the AAS and the UK Royal Astronomical Society, the winner of the RAS Gold Medal will speak at an AAS meeting, and the winner of the AAS Henry Norris Russell Lectureship will speak at an RAS meeting. Roger Blandford (Stanford University) gave his RAS Gold Medal Lecture, "Some Puzzles in High-Energy Astrophysics," in DC. 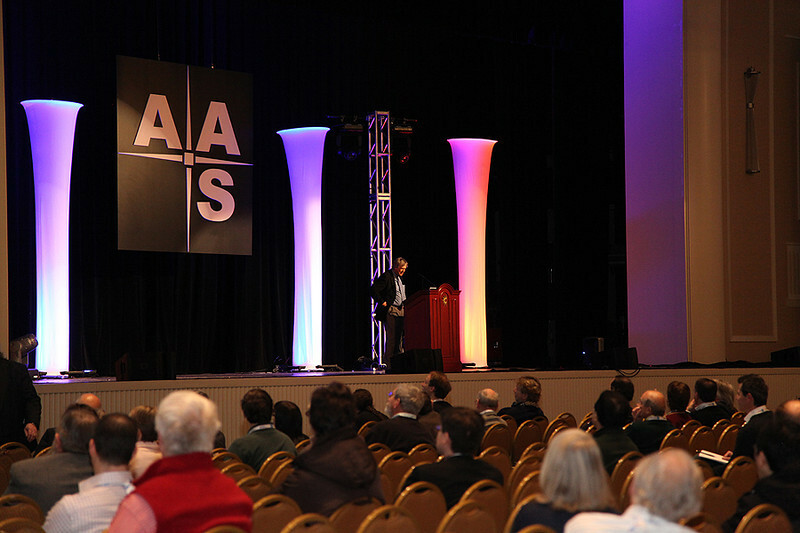 AAS President David Helfand (Quest University Canada) chaired the special Wednesday-evening plenary session.